First, some terms to get familiar with. SUBSTATS – These are in lighter blue text. 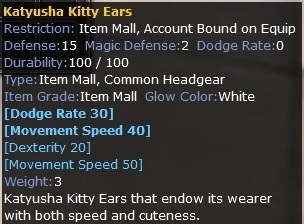 They will be directly under the base stats of the item. Equipment drops will sometimes have hidden stats. To have the substats revealed, bring the item to a NPC that does appraising. In Junon, that NPC is [Gypsy Merchant] Bellia. 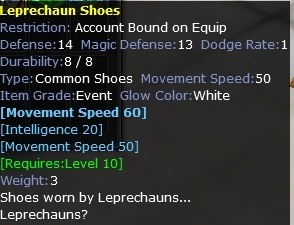 There will often be substats on items that are crafted by an artisan. ITEM GRADE – Every item in the game now has an item grade. 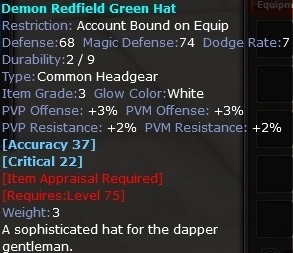 The item grade does not reflect the type of item (hat, wing, etc) but it has a big effect on the ability to move substats. You will find the item grade under the durability and type of item and above any base stats or substats. Here are examples of the different item grades. When a substat is moved from an item to a Blank Enchantment Scroll, it turns the scroll into an Imbued Enchantment Scroll. You will sometimes find Imbued Scrolls for sale in player's shops. There is one very important thing to remember. The substats must come from an item that has the same item grade as the item you want to put the substats on. What that means is- if you want to put a substat on an event item, the substats must come from another event item. 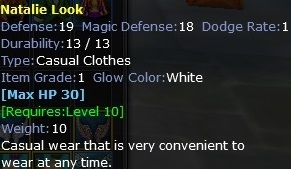 Same thing is true for a unique or an IM item. 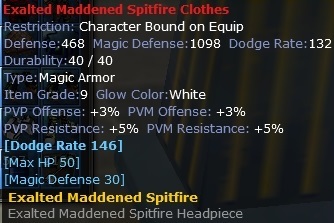 In the case of the numeric item grades, you can put substats from a grade 1 item onto a grade 9 item, but not the other way around. So now finally the process to actually move the substats. You need an item that has the substats you want (be sure it's the correct item grade). You also need a Blank Enchantment Scroll. I always move the item with the substats to the first space in my inventory and move other items out of the way. I also always change to the costume tab so I don't accidentally click on my accessories instead of the item. 1. Double click on the blank scroll in the consumables tab. 2. Move to the equipment tab and double click on the item with the substats. A message box will pop up, telling you that the item will be destroyed. Accept that and the item that had the substats disappears The substats are now on the imbued scroll in the consumables tab. 4. Move to the equipment tab and double click on the item you want the substats put on. If you are starting with an Imbued Enchanted Scroll that you bought from another player, you can just do steps 3 and 4. Please be extra careful when buying Imbued scrolls that you make sure the substats are from an item of the correct item grade for what you need. Edited by HoneyBunz, 30 September 2018 - 08:11 PM. What a wonderful idea! I do tend to get questions from noobies about this. +1 Honey!